Right off his primary win, Governor Rick Scott is on his way to the November midterm elections where he will try to unseat Senator Bill Nelson. However, first, the Governor made a stop to meet with Mitch McConnell. 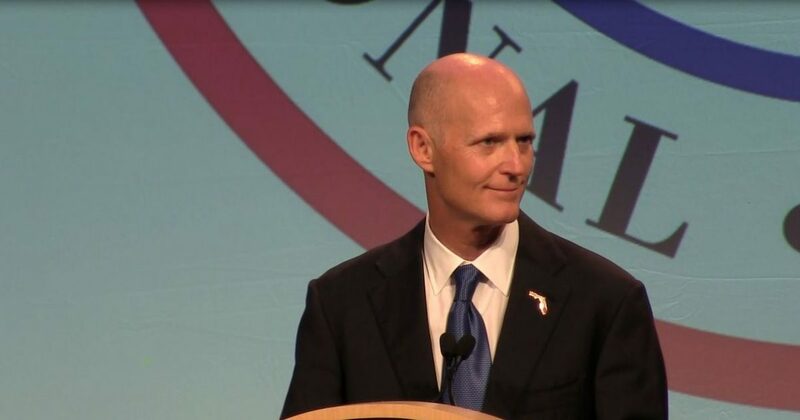 The main concern discussed was the growing issue of toxic algae that is flooding the coasts of the sunshine state, and Governor Scott argued in favor of funding for a water project that would aid in the fight to tackle this growing concern. Also, Governor Scott continued to stress his support for Brett Kavanaugh’s entry into the Supreme Court. The hearing’s begin next week, and Senator Bill Nelson has not commented on whether or not he would vote in favor or against Kavanaugh.